Even though I have recognized myself as gay for close to 40 years, I am still finding layers of internalized homophobia. One of them has to do with ironic gay humorists. When David Rakoff passed away, he was often compared to David Sedaris. 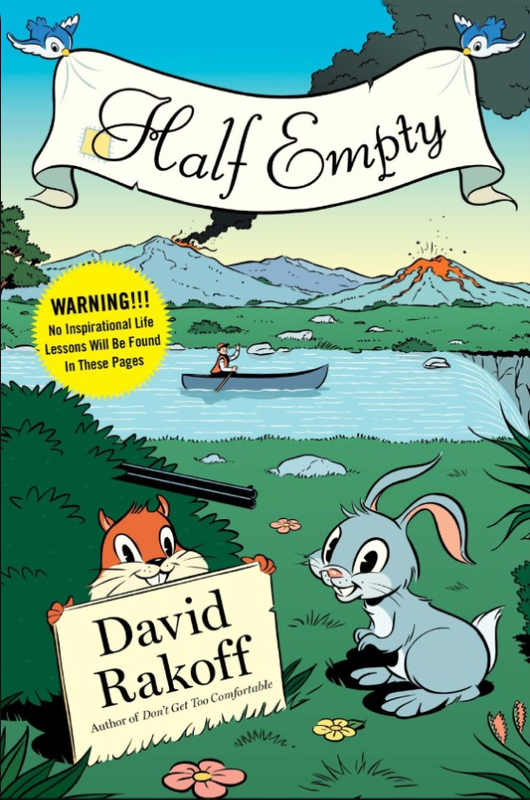 When I read Rakoff’s book Fraud a few years ago, I thought that he wasn’t nearly as funny as Sedaris, and I didn’t read further. As with Daffyd, the Welsh fairy in the TV sketch show “Little Britain,” there was only one gay in that village: there could only be one funny fag essayist, and I thought it was Sedaris. That was the layer I uncovered last week. Rakoff was a different kind of writer. Not as many laughs as Sedaris, but more layers. 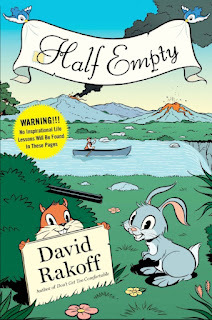 By his last book, Half Empty, he was really good—serious, biting, funny, but also sweet. Not sweet to right-wingnuts, but sweet with compassion for the suffering of others who do not wish anybody ill. He incorporated sadness into much of his work. He probably loved the attention that laughter brings, but he was willing to wait and work for a thoughtful, multifaceted essay to emerge, not just the quick laugh. 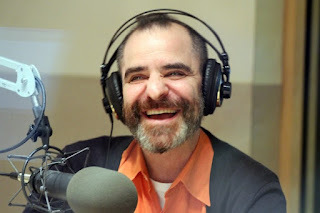 Rakoff became known to thousands of listeners of the radio show This American Life for his mostly soft voice and great timing. I think the show’s host, Ira Glass, mentioned that Rakoff could use cleverness as a substitute for intimacy. I am not sure it was a substitute. When you hear him read, it is very intimate. Just publically intimate. I’ve included below a link to a collection of favorite Rakoff stories that This American Life assembled. At the bottom of that page is a video of him on stage. You can see and hear his timing and grace, even though he is quite ill. He would say in interviews that he wasn’t handsome. In the video, he mentions that he doesn’t dance anymore. Then with his left arm useless, he finishes by dancing around the stage. He couldn’t have been more beautiful. 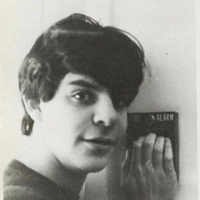 The photograph of him as a teenager about to pull an emergency alarm is so endearing. He is full of mischief and full of love. He wrote that his perfect age was 47 to 53. He died at 47. I wish I had started listening sooner.